I’ll wager there are that many more job titles we missed. But what a resumé, eh? We don't usually use our blog for things like recommending books, but several weeks ago one of TREES' volunteers (Thank You, Tanya) began talking about a book she was reading. She related some of the author's thoughts and said it really helped her better understand horses, from behavior to health and everything in between. After reading only 1/4 of the book, I have to recommend it to our visitors. 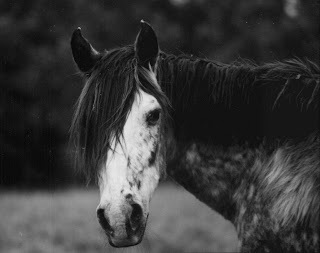 The Soul of a Horse: Life Lessons from the Herd alternates chapters about "modern" horse management and training with vignettes illustrating feral or "wild" horse herd dynamics at work. Joe Camp, in writing the book this way, shows how we first need to understand horses' "language" if we want to communicate with them effectively. "Its still a mystery to me how people can ignore what seems so obvious, so logical, simply because it would mean change. Even though the change is for the better. I say look forward to the opportunity to learn something new. Relish and devour knowledge with gusto. Always be reaching for the best possible way to do things. It keeps you alive, healthy and happy. And makes for a better world." This one passage also sums up what we try to do at Traveller's Rest. No two horses are the same. No two have the same personality, the same history, the same learned behaviors. Each one arrives as a puzzle, to be solved as we become acquainted. Only when we learn to interpret each horse as an individual can we develop a care regimen for that horse. To interpret each horse as an individual, we must understand how things appear to the horse rather than how things look to us. 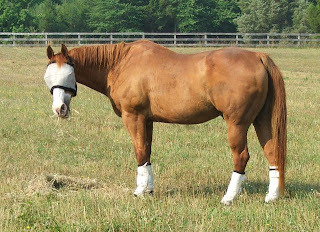 Then, when we feel we've deciphered a horse's needs, we do our best to customize care plans, but always starting with maximum turnout and forage based diets. Does managing horses this way take a little extra work? 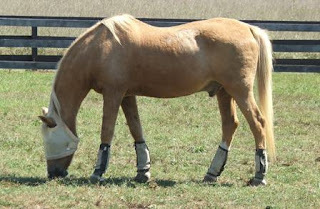 Doing what's in the horses' best interests is not always what is most convenient for the caregivers. So in some ways, yes, individual management plans mean a little more work. 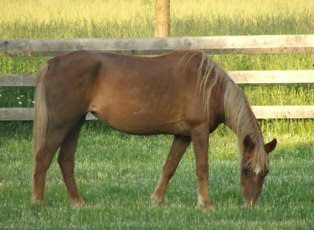 In the long run, however, it often means the horses stay healthier and live and work longer. In following Mr. Camp's advice, spend time just watching your horses. Learn how they interact with each other, how they communicate with each other. In other words, learn from the horses. 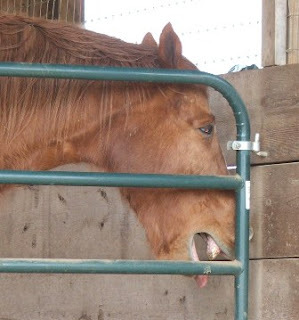 After all, they have centuries of experience being horses. Who better to teach us how to care for them? Many of you are probably familiar with the ZooToo web site. 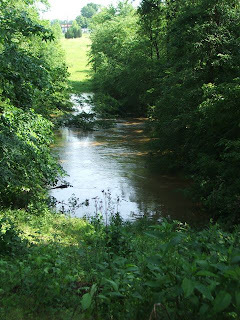 Traveller's Rest has been listed on the "rescues" portion of the site for a while, but we've never taken advantage of the features of this site. Time to change that, and you can help. When visitors to the site look in the rescue listings, the default order appears to show those facilities with good reviews at the top of the list. Too date, nobody has rated or reviewed TREES on ZooToo, so we don't appear until page 7 or 8. We're asking anyone who has visited Traveller's Rest to go to http://www.zootoo.com/rescuegroups/zip22553_travellersrestequineelderssanc , click the "Write a Review" button and....well......write a review. If we can bump TREES further up the list, that may encourage more people to visit the TREES web site and, in turn, that may help a greater number of elder horses, particularly through the articles and information about caring for older equine. Thank you for your help! In addition to writing a ZooToo review, if you know of animal or horse welfare sites that we've missed, let us know and help us get the word out. It seems as though we've been asking for help a lot lately. We have. With the horse market in the toilet, and many people cutting back on expenses, elder horses are often the first to suffer. Special diets, extra feedings, and frequent vet or dental exams combined with job losses and higher prices mean more people are trying to rehome their horses or need help getting over a "hump." 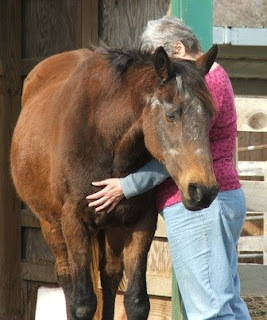 Trying to find as many ways as possible that you can help TREES help equine elders at small cost to you, we opened a gift registry at valleyvet.com . The items listed are small items that we use frequently. Please don't feel that "small" donations don't help. For example, during last December's Giving Tree program, shoppers at two local feed stores bought the same types of items while in the store...........all told, the total value of items donated was a little over $400, the equivalent of almost two weeks worth of feed for the entire TREES herd. The "little" things add up. So, if you visit http://www.valleyvet.com to shop, please remember to look for the TREES gift registry at http://www.valleyvet.com/ct_registry_detail.html?ID=2347 while you are there. Every package of gauze and every roll of coflex will be sincerely and gratefully appreciated. This is one of those "Stay Tuned......." posts. We're making preparations for a new arrival, to be welcomed this weekend. All we know to this point is that he is 36 years old, a draft horse cross, has melanoma and Cushings, and needs to put on some weight. Challenges ahead..........? We'd like to express our deep deep sympathies to our friends and fellow rescuers, Jorg and Tom, the founders of White Bird Appaloosa Horse Rescue, on learning of the loss of their canine family member, Shandy. We are often told there is a reason for, or a lesson to be found in, everything that happens, but this is one of those things that may never make sense. 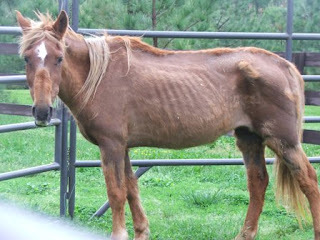 This week's iGive newsletter is brought to you by drugstore.com where 4% of your purchase benefits Traveller's Rest Equine Elders Sanctuary. We're also pleased to introduce a new store at iGive.com: DSW Bookmark: iGive.com/DSW (3.2% Donation*) kate spade new york - iGive.com/katespade (2% Donation*) How do iGive donations help your cause? Share your story on Facebook.com/iGive! Tell us about the stores YOU would like to see at iGive. Bath & Body Works:2.8% Donation* (prev. 2%) Big Semi-Annual Sale - Enjoy savings up to 50% off now through July 5th. ESPRIT: 3.2% Donation (prev. 2%) Enjoy Free US Shipping & Free Returns on orders $30+. $15 OFF $45+ AT HSN.COM (2.4% Donation*) New Customers can enjoy $15 off any purchase $45+ with code C73687. Offer ends December 31st. $7 OFF $125+ AT OVERSTOCK.COM (2.8% Donation*) New Customers can enjoy $7 off a first-time purchase of $125+. Offer ends June 30th. SAVE $10 OFF $75+ AT ULTA BEAUTY (2% Donation*) Enjoy $10 off $75+ at Ulta.com with coupon code iGive10off. Offer expires July 25th. SAVE $20 OFF $125+ AT SKINSTORE (4.8% Donation*) Spend $125+ and enjoy $20 off your order with coupon code GET20. Offer ends June 30th. FREEBIES + FREE SHIPPING AT SEPHORA (3.6% Donation) Enjoy Free Shipping plus 3 free samples when you spend $50+! Please allow up to 30 days (after the shipment/travel date) for your purchase and resulting donation to be credited to your cause automatically. Traveller's Rest is a founding SARA shelter/rescue. I am very happy to be helping to get this program up and running, but we need you to make it happen. The more Animal Reiki volunteers we have the more successful the program will be and the animals will thrive. To participate in the program you will need to attend a TREES/SARA orientation. Then you will be able to volunteer at Traveller's Rest, as a SARA participant, by offering Reiki sessions to the horses. Most of the residents of TREES have been participating in the Reiki level one and two courses for over one year and just love Reiki. - To educate the public, shelters, sanctuaries and other animal facilities on the benefits that Animal Reiki can provide for both animals in need and the humans that care for them. To me one of the most important ideals of SARA is we teach people how to work with Reiki and animals in an ethical way and promote the highest standard of professional Shelter Reiki programs around the world. Please let me know if you will be attending so I can send you directions and further details. If you know of someone that might be interested in this program or interested in offering Reiki to the residents at TREES please forward this email to them. This post obviously isn't about horses, elder or otherwise, but it is about recognizing, once again, the wonders of Mother Natures' creations. Granted, man's had a hand in developing domestic pigeons, but he had to start with Mom N's groundwork. Let me begin by saying we've named our guest "Elmer," in honor of the great Elmer Bandit, the competitive trail horse that recently broke the existing total mileage record at age 37. When Elmer, the pigeon, arrived yesterday, he was quite weak. When we approached him, he tried to fly away, but could not get more than a few inches off the ground. 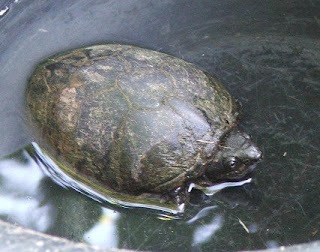 We scooped him up and placed him in a dog crate with a little water, then searched the Internet for more information. 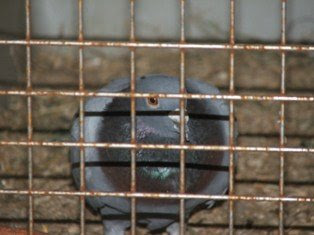 We found a wonderful source of information on the American Racing Pigeon Union's site, in their article "How to Care for Lost Pigeons." After reading Elmer's leg band, we found he was registered with the International Federation, an American Homing Pigeon Fancier's organization that's been around since 1881. Researching the band lists on the IF site, we discovered that Elmer is a "member" of the Toms River Triangle club in New Jersey! We were also able to reach his owner. It turns out that Elmer was a little off course when he reached Traveller's Rest, not surprising considering the ridiculous weather in the region over the last few weeks. His race began in Zanesville, OH and was to end back in New Jersey. Spotsylvania, VA isn't exactly on the way. To make matters worse, poor Elmer was still headed in the wrong direction. The day before he arrived at the sanctuary, his owner had received a call saying he was in Hartwood, about 30 miles north of us. After talking with Elmer's owner, we found these birds more fascinating than ever. The fact the Mother Nature programmed them with such a keen homing instinct is awe-inspiring, regardless of Elmer's little detour. For the most part, these birds can find their way to their home roosts from hundreds of miles away. Its not a non-stop flight, though. Naturally, a trip of this length burns up a lot of energy and the birds stop along the way for water, food and rest. As it turns out, that is why many horse farm owners are blessed with pigeon visits. Apparently, experienced racers learn that there is often grain to be found in proximity to horses so, as they fly along and become a little hungry, they learn that horses point to good prospective rest stops. Many times after a little food, water and shut eye, the pigeons will go on their way. This time, Elmer needed a little assistance. We fixed up a small apartment for him in a large dog crate with grain, water, and a branch to roost on, and he seems much perkier and more alert this morning. As a matter of fact, we get the distinct impression he wants OUT! His owner, however, asked us to keep Elmer right here until he can come to retrieve him later this week. We hope Elmer won't hold his confinement against us, but we learned that he has been missing for about a week and his owner is anxious to return him to the flock. Meanwhile, we are grateful to Elmer for showing us yet another wonder of Mother Earth's inhabitants. Seems they're all around us if we only look. A new arrival showed up this morning. Out of the blue, you might say. Not an equine guest, but avian. After mixing horsey breakfasts this morning, we looked outside to see a racing pigeon in the front yard, looking a little lost. For now, he(she?) is comfortable ensconced in a dog crate, having a snack and a drink. We've traced the owner to New Jersey! and will try to contact him as soon as the horses are fed. Jeesh! 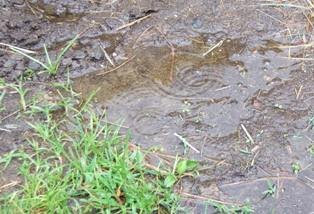 Just when we got dried out after last week's record rainfall, Mother Nature gave us another big Wallop a few days ago. Early Tuesday morning, just as we were preparing to start feeding the horses, a line of unexpected thunderstorms came roaring through. Our poor Red Maple tree, which stands virtually just outside the front door of the house, took another lightening hit. The proximity to the house took out our phone lines, the satellite and a couple of electric outlets, all on the front of the house. We now have one phone line working, but must switch between email and telephone on that line to keep up with daily communications. Verizon has been dealing with a large number or storm damage calls for weeks and won't get to us unti June 24! The horses are all fine, though a little addled immediately after the big storm. Fitz wouldn't come into the shed to eat breakfast and a few others ate only parts of their meals and wanted back outside. Everyone is relaxed again now. but more storms are expected this evening. Mom N.........we are in awe of your power and even these lightening storms are beautiful in their own way.....but we would be more than a little grateful for just a short break in the action! Quilters! Time to Search Your Stash! 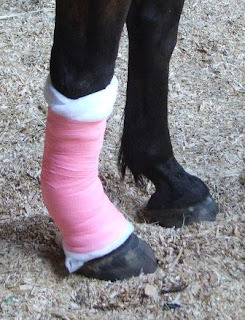 Jubal's recent leg injury requires wrapping for at least a few more days. See the white padding under the elastic bandage? This is where you quilters come in. Do you have any batting remnants sitting in drawers or closets that you hate to throw away, but feel you may never use? TREES can put them to good use! We'd like to think we won't need them often, but Jubal reminded us that we just never know what might pop up next and that there are certain things we should keep in stock in large quantity. We're looking for pieces at least 15" x 18" but anything larger would be great. We can cut or fold to custom sizes as needed. If you are a quilter or former quilter, or know a quilter or former quilter.......please Search your Stash. 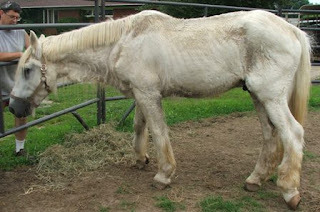 Batting may be sent to Traveller's Rest Equine Elders Sanctuary, PO Box 2260, Spotsylvania, VA 22553. (If using UPS, FedEx, etc, give us a call for the street address. ) If you'd rather drop them off in person and meet the gang, give us a call at 540-972-0936, or email info@equineelders.org to schedule a visit. Jubal and his chorts thank you!